This is the full resolution 24 bit 48 kHz 5.1 master and 24 bit 96 kHz stereo master. 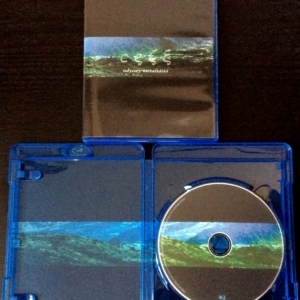 ================Lush and Organic: languid polyrhythms and shimmering electronics blend with South Indian, post-rock, jazz and minimalism. 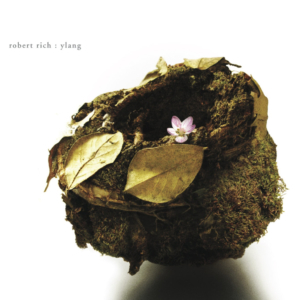 Robert Rich’s first solo studio album in three years seductively blends Rich’s expressive steel guitar, shimmering organic electronics and yearning flute melodies with influences as diverse as south Indian Karnatic music, pulsing minimalism (Steve Reich, Terry Riley) and introspective jazz (Bill Evans, Miles Davis); while its deconstructed drums and guitar feedback might feel at home with Sigur Ros or Bark Psychosis. Rich enlists help for this undertaking from a circle of trusted musician friends. The rhythmic scaffolding for the album comes from two very different drummers. Ricky Carter adds his intelligent sparse drumming, fluid with syncopation but complex in meter. These rhythms could be a slow motion homage to Jaki Leibzeit from Can. Post-processing transforms them into rubbery chuffing abstractions. The other rhythmic foundation comes from the Karnatic mrdungam playing of Sakthivel Muruganandhan, which also wanders into Rich”s sonic blender, shifting from slow motion digitized blurs into organic live duets with bansuri master Sunilkumar Sankarapillai. 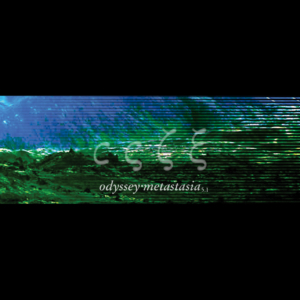 Lilting in and out of this heady atmosphere of South Indian music and minimalist space jazz, the voice of art-pop virtuoso Emily Bezar adds a feminine intelligence to several pieces, and subtle melodic guitar additions from Haroun Serang augment Rich’s soaring lap steel distortions. With acoustic bass from Paul Olguin and string additions from Forrest Fang and Hans Christian, the sonic texture warms to a glowing woody earthiness. Rich’s audiophile production and delicate sound design glue the textures together into a seductive and inviting mossy nest. 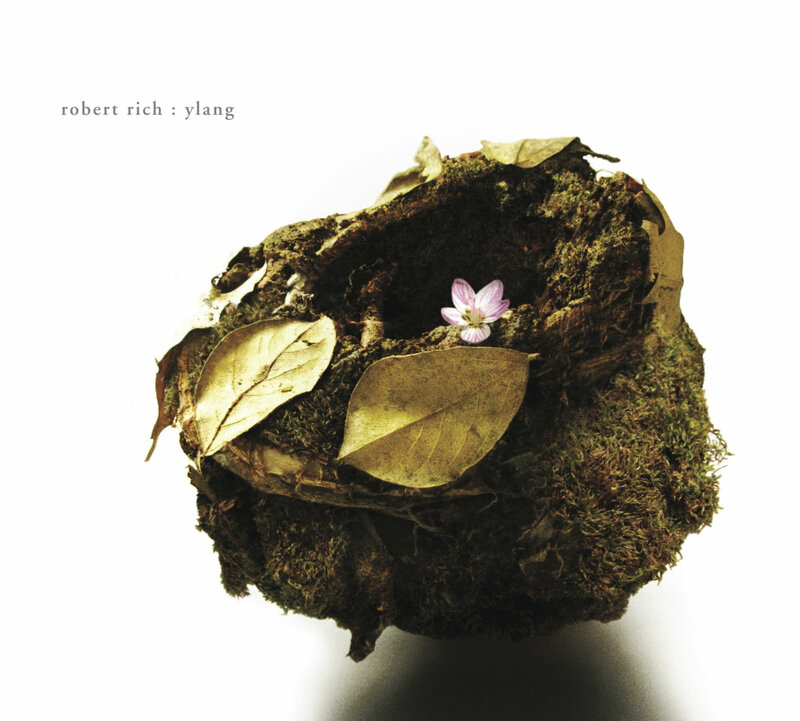 From these disparate elements, Ylang forms a sonic entity unto itself. While some “world music” may sound like a blur of undigested motifs, Ylang sounds like… Ylang. All titles © 2010 by Robert Rich, BMI. from February 2009 to January 2010. 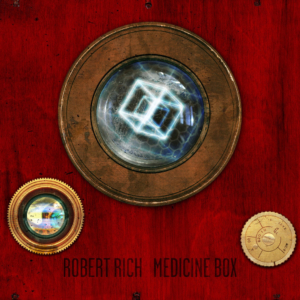 Robert Rich uses analog synthesizers by Synthesis Technology, microphones by ADK, Josephson and Blue, preamps by Millennia and TAB, software by Apple, Audio Damage, Camel Audio, Izotope and Flux, among many other tools, with gratitude to those who seek excellent sound. Many thanks to Dixie and our friends who help along the way. Art and design by John Bergin.